The new outfit will be headquartered in T-Mobile’s home of Bellevue, Washington with a second headquarters in Sprint’s home of Overland Park, Kansas. How and whether the new company will use the Sprint brand will be decided after the deal closes. The merger is a long time coming. AT&T tried to buy T-Mobile in 2011, but scuttled the deal when it became clear that regulators wouldn’t approve it. T-Mobile then tried to sell to Sprint, but the merger was called off in 2014 when it became apparent regulators would block that deal as well. Another round of negotiations between T-Mobile and Sprint followed the 2016 election and the appointment of the more telco-friendly Federal Communications Commissions chair Ajit Pai. But the two companies couldn’t reach an agreement and called off the talks last November. In an announcement, T-Mobile and Sprint claimed the combined company would create lower prices in part by achieving economies of scale. It also claims the merged company would employ more people than the two businesses employed previously, creating thousands of jobs to support a $40 billion investment into the transition to 5G, the next generation of mobile wireless technology. “The new company will be able to light up a broad and deep 5G network faster than either company could separately,” the announcement says. Critics of the deal say it will result in less competition and higher prices. Since AT&T dropped its bid for T-Mobile, the company has greatly simplified its pricing, dumped annual contracts, and passed Sprint to become the third largest carrier. T-Mobile’s consumer friendly practices led the way for other carriers to likewise stop forcing consumers into long-term contracts and to resurrect unlimited data plans (T-Mobile has simplified its pricing, disposed of annual contracts, and routinely gives its customers free pizzas and movies). The Trump administration, and the FCC in particular, has a generally more laissez-faire attitude towards both the telco industry and mergers. But the administration also has a populist streak that could foil, or at least slow down, this merger. It has also blocked foreign companies from acquiring US companies out of national security concerns. Most notably, President Trump blocked Singapore-based chipmaker Broadcom’s acquisition of Qualcomm earlier this year, out of fears that a consolidated chip market would give China’s ambitions in the industry an edge. 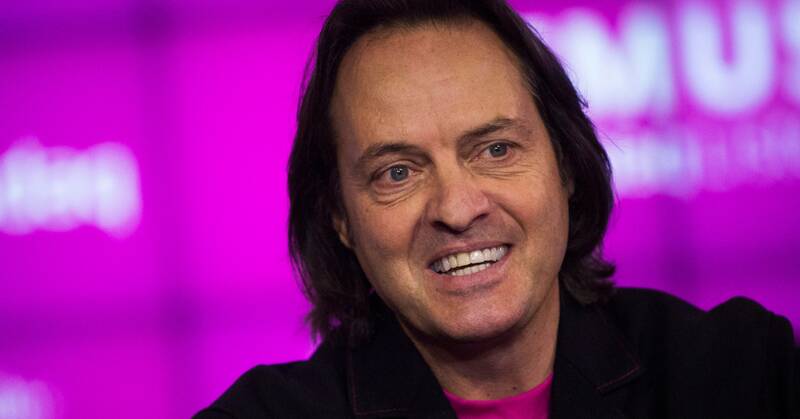 T-Mobile and Sprint are both already foreign-owned, which might reduce concerns. Then again, the Trump administration is anything but predictable. “Cord cutting” has been a kind of ghost story for cable providers for much of the past decade—a tale that, while foreboding, didn’t seem entirely real. But consumers are abandoning traditional cable for streaming services faster than ever, turning what had been an ominous prediction into a clear and present danger. Three major pay-TV providers last week reported dramatic declines in subscribers to traditional cable and satellite television packages. Some of the losses were more than double what Wall Street analysts expected, and stocks in major TV providers have fallen off a cliff. Those dismal results followed reports of huge subscriber growth at streaming services like Netflix, leaving would-be defenders of legacy TV with nowhere to stand. The reports continue a strong trend away from traditional cable services—total cable subscriber numbers declined 3.4% over the course of 2017, a faster decline than in 2015 and 2016. The fact that the latest numbers so dramatically underperformed even grim Wall Street expectations suggests the dropoff is continuing to accelerate. At the same time, streaming services, also known as “over the top” or OTT services, are showing gains that are even more dramatic. Netflix, the 800-pound gorilla in the sector, reported earlier this month that it had added a net 1.96 million subscribers in the first quarter. Perhaps even more worrisome for cable providers are services like HBO Now, which deliver what had been exclusive cable content directly to subscribers, and whose growth is also accelerating. For years, it was thought that live sports would keep many subscribers from ditching cable, but that dam has cracked in half. Both broadcast networks and ESPN are available through services including Sling and Hulu. And a standalone ESPN streaming service, ESPN+, launched this month, at a stunningly low $4.99 a month rate that seems likely to deepen cable’s losses further. The impacts of the switch to streaming packages are still unclear, but they’ll be complex. Done right, the transition could channel more revenue directly to creative powerhouses like Disney, which is planning to launch its own OTT service, packed with Star Wars and Marvel IP in addition to animated films. But the decline of cable could be tough for smaller players, such as niche channels which currently get a share of cable fees but might not be able to attract subscribers on their own. It’s more than likely that cable providers will find some role in this reshaped future. But it’s clearer than ever that their glory days—when they had the leverage to do things like tack on steadily rising fees—are over.